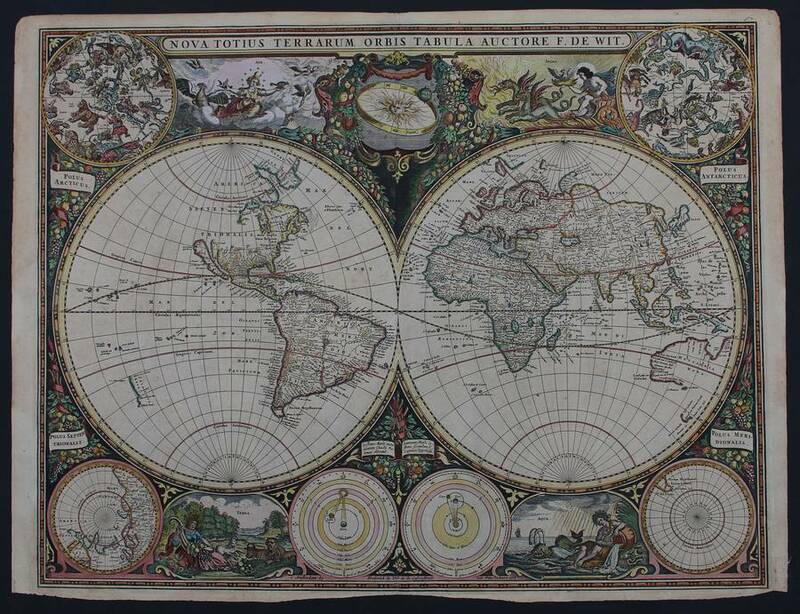 The two hemispheres of De Wit's first world map are reduced with minor amendments from Blaeu's classic wall map of 1648. 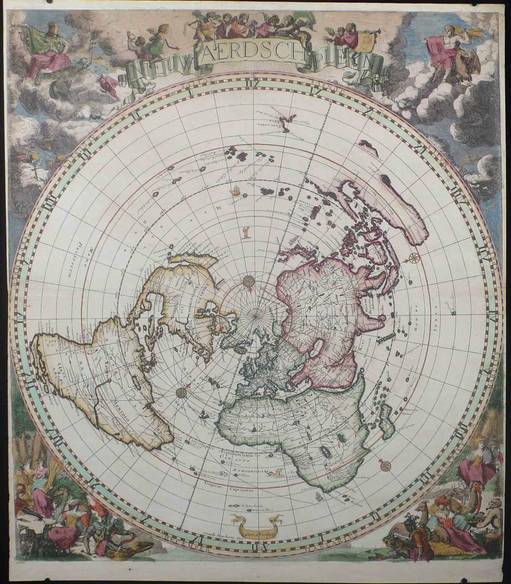 De Wit has not included the large inland sea in North America nor the piece of land marked Yedso north of Japan. Rare map of the world made by Robyn/Danckerts and illustrated by Herrewyn. Very nice contemporary colour, which makes it a spectacular map. Showing the world projected from the north pole.